The homes in Jackson Hole feature a variety of styles, architecture, and character. 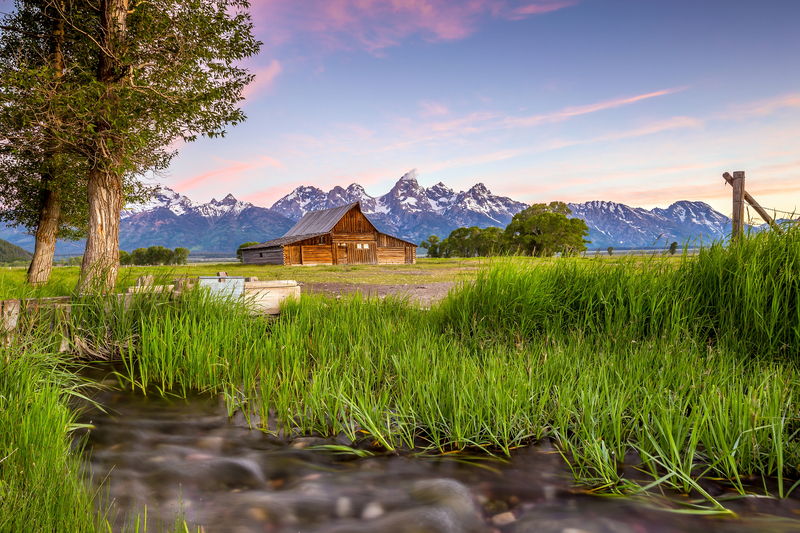 In recent years the Teton County, Wyoming Area has become a haven for wealthy people in the United States seeking to enjoy the pleasures and simplicity of Jackson Hole lifestyles. Most of the homes are western in style and design, to reflect the authentic culture and surroundings of the Grand Teton National Park settings. Some new contemporary homes are being constructed and they too usually will reflect western style using timbers, log accents and native stone and other rustic features. All new homes built in Jackson Hole, Wyoming are usually energy efficient and structurally sound to meet the seismic and other related natural environment aspects of the area. There are also various real estate regions that the homes are located in. The newest homes in the West Bank Region are usually considered and classified luxury homes. As the land prices are climbing to a new record level in the region, the homes that are being constructed are some of the most luxury real estate in the United States. The locals refer to some of these luxury properties as 'trophy homes of the Rich". Many of the beautiful structures that are placed in strategic view corridors along the Snake River are worth in access of 10 million dollars while the lowest prices range from $800,000. Log Cabins in Granite Ridge townhomes subdivision are among the most popular of the log homes and are priced at around $1,3 million and up. Other single-family residences in this area that are much larger in scope are priced well over the $5 million dollar range. 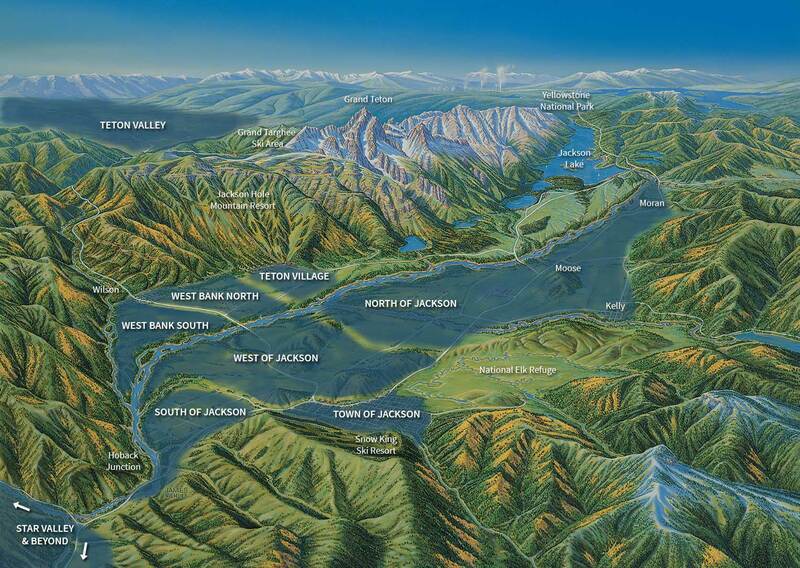 The north end of the West Bank is home of the Jackson Mountain Resort also known as Teton Village. Teton Village Real Estate is quickly becoming the fastest growing sector of the market as reported in the Jackson Hole Realty News. Luxury home rentals are available for those large groups and families coming for vacations or weddings. The North Jackson region of the valley is much closer to Grand Teton Park and homes have a much closer view corridor to the Teton Range. The homes are usually built in this area to capture the dramatic views of the Grand Teton and expansive views to the western slopes overlooking the Jackson Hole Mountain Resort. The airport is located in Grand Teton National Park to the north of most homes. Historic log homes can also be found in Park in-holds and occasionally come on the marketplace. The South Jackson region is where most of the locals live in the area. Moderate to superior homes are in many of the Ranch subdivisions that were platted over the past 30 years. As of recent, developers have been creating luxury homes and golf resorts in these areas to attract more wealthy buyers. One of the latest golf course projects is 3 Creek Ranches where Tiger Woods and his wife plan to build an exclusive new home. Many of the larger tracts of land around this area are excellent horse properties and ranches suitable for riding. Harrison Ford purchased a large Ranch in this area after making his first Star Wars Movie late in the 70′s. He lived in Jackson Hole for a few years with his family and now just uses this property as a second home. Much of the ranch has been placed in a conservation easement. The East Jackson region has a mix of new and old homes. The Snow King Resort has recently been re-zoned and many new luxury and rental homes are being built in this area. It is 5 blocks from the town square and is a popular resort in summer and winter.